Dr. Bryan and Dr. Brittney Asby met at Palmer College of Chiropractic, and it wasn’t long before they were dreaming up plans to open a family-based practice of their own. 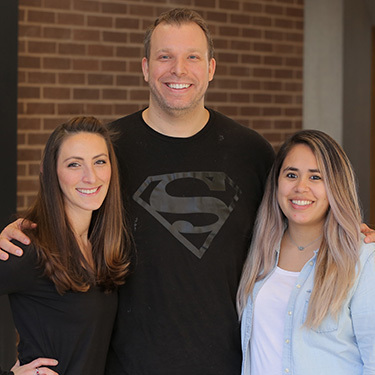 They took over Dallas Synergy Chiropractic in 2016 and have seen their dream come true as their chiropractic care center became a gathering place for like-minded people in our community. We’ve seen that our country is getting sicker and sicker, with more medications being taken than ever. We want to be a beacon of light in a world that seems to be darker and darker. We’ll help you gain an edge through natural means, no drugs or surgery necessary. We know that the power that made the body, heals the body. It’s true for each child, adult and everyone in between, and we can help you unlock that power. Although it’s a common belief that genetics are the major consideration in health and well being, research shows that environmental factors are actually of primary importance. Disease and sickness are tied to our environment and occur when your body has difficulty adapting to stress. As chiropractors, Dr. Bryan and Dr. Brittney work to assist your body in coping with the many stresses of your life so that you don’t experience the many common health challenges in our world today. That’s where our motto comes from: health by choice, not by chance. If you’re ready to change the way you think about health, we’d love to support you. Contact us today to book an appointment! We provide convenient Saturday hours.